"Waka Waka (This Time for Africa)" (Spanish: "Waka Waka (Esto es África)") is a song by Colombian singer-songwriter Shakira featuring South African band Freshlyground. It was released on May 7, 2010, by Sony Music Entertainment and Epic Records as the official song of the 2010 FIFA World Cup. It additionally served as the lead single from the accompanying compilation album Listen Up! The Official 2010 FIFA World Cup Album. The song was written and produced by John Hill with additional songwriting by Shakira, Freshlyground, and Golden Sounds. The K-Mix version of the song was also included on Shakira's seventh studio album, Sale el Sol. "Waka Waka" was performed by Shakira and Freshlyground at the 2010 FIFA World Cup Kick-Off concert in Soweto on June 10, 2010, and at the final on July 11, 2010. 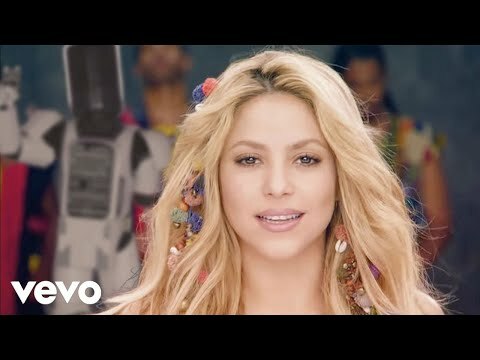 "Waka Waka" has sold more than four million copies worldwide making it the best-selling and the fastest-selling World Cup anthem in the digital age. As of January 2014, the single's music video is the fifth-most watched music video on YouTube with more than 600 million unique views.